If you are like Princess Unikitty, then you will somehow be able to think positive thoughts about playing the team that are tied on the top of La Liga with Real Madrid and our old friends, Barca. Happy thoughts, despite the fact that their current league record is 19 wins, 3 draws, and only 2 losses. Or the fact that they are undefeated in the Champions League this season, only drawing to Zenit in their house, while shutting out Austria Vienna and winning both legs vs. Porto. Oh, and did I mention that they only conceded 3 goals in those Group Stage matches? It’s enough even to make Unikitty see red. Milan had two advantages in this match: playing at home and the fact that David Villa had been injured. However, Villa made it back from injury to play about 15 minutes yesterday, so we are down to only the slight advantage that is playing at the San Siro. 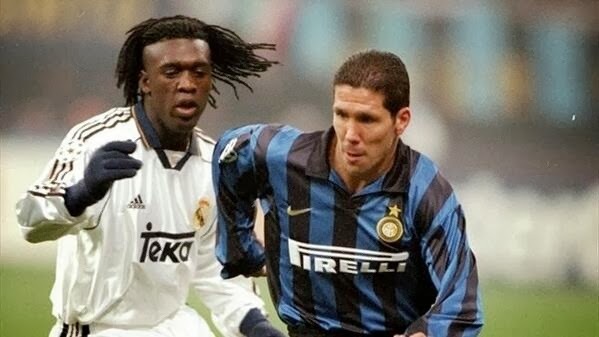 Diego Simeone, Atletico coach and also known as Bad Cop/Good Cop, knows Seedorf well, having played against him during his playing career. But Simeone also knows the San Siro well, having played at Inter, as well as having played at Lazio and coached briefly at Catania. Against Real Valladolid yesterday, he lined up the Master Builders Courtois; Godin, Alderweireld, Juanfran, Insua; M. Suarez, Koke, Turan, Gabi; R. Garcia, and Diego Costa. He will, however, be missing defenders Manquillo, Gimenez, and Filipe as well as midfielder Tiago to injuries. Seedorf, on the other hand, following the Instructions to Fit In, Have Everybody Like You and Be Happy, has a much more difficult task. With Muntari and Montolivo suspended, Honda cup-tied, and an injury list that as of this writing includes El Shaarawy, Cristante, Birsa, Urby, Robinho, Silvestre, Bonera, with Kaka and Zapata still doubtful, it’s not as if he has the Piece of Resistance, let alone the pieces he needs to even build a Spaceship! As if that weren’t bad enough, he’s got to manage the media circus around the dark and brooding Balotelli, aka Batman. He’s also only got De Jong and Essien available for the two holding midfielder spots, and we all know how well that worked out vs. Napoli. 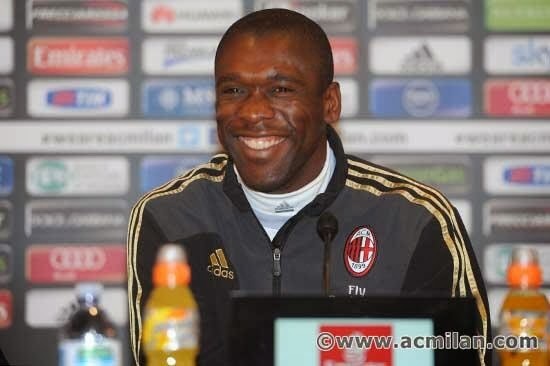 Which begs the question, is Seedorf The Special? He is so new to coaching, it’s like having only The Double Decker Couch for an idea. And then there is this team, still functioning more like individuals. It’s almost like a bunch of Master Builders trying to build a Submarine. But would they play well enough if they all Followed the Instructions and thought that Everything is Awesome? Or is this game destined to be like Taco Tuseday? Seedorf is the only player to have won the Champions League with three different teams, and recently said that “the DNA of Milan is something I have inside of Me.” So maybe he truly is a Master Builder, more specifically The Special, the one Vitruvius’ Prophecy told of. Is he truly The Special? On the other hand, maybe Milan will fall victim to the Kragle and the Evil Lord Business. Not every match can end like a Hollywood movie, even an animated one about childrens’ playthings. But there truly is something about the Champions League that makes even the worst Milan side play better. We may be missing our Big Game Bonera™, but following the instructions and yet using the strengths of each Master Builder may just earn us a result on Wednesday, we’ll see. Until then, Everything is Awesome.